This is the perfect book to pick up and read when you just want a sweet escape. The story of Wendy and Max was simply a delight. I loved the legend of Blue Moon Bay and how all the little details tied together - nothing in this book was happenstance. Wendy is a well-developed and relatable heroine. She's independent and strong-willed, but she has insecurities and carries past hurts that have affected her entire life. Max appears to be the perfect hero, but a "perfect" hero really isn't realistic. Thankfully, Max is perfectly flawed - he has his own shortcomings, weaknesses, and even secrets that help balance him out. However, Wendy and Max are absolutely perfect for one another - despite Wendy's denial and the multiple ups and downs of their relationship. The cast of supporting characters - Wendy's brother and parents, her friends Megan and Olivia, along with Wendy's assistant Jeanine, and even Max's dog Lucky - all add variety and depth to the story. If you are in the mood for a relaxing, feel-good, sweet romance this is the book for you. 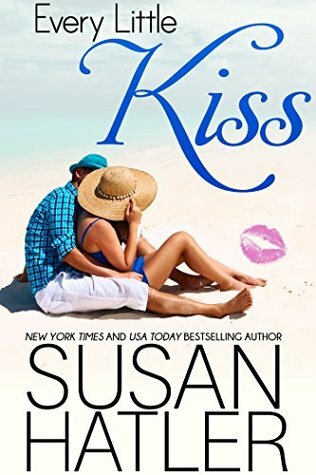 Take that well-deserved break and escape to Blue Moon Bay for awhile to fall in love with a kiss beneath the blue moon!